One of the primary ways that Google ranks your vacation rental website is based on how many links from other websites are pointing back to your website. When Google first came on the scene, this philosophy helped make their search results more relevant. Google believed the quality and quantity of links pointing back to any website helped determine the legitimacy of that website. Basically, they viewed links as a vote for the quality of your website. The more votes you had, the more legitimate your website was. The quality and quantity of these links, along with their relevance to the keywords people were searching, helped Google decide how they should rank websites in various search results. But, as more people began to understand how the Google algorithm operated and realized how important it was to rank high within Google search results, they started practicing link building – that is, finding ways to increase the amount of links that point back to your website. Done the right way, link building can help your rankings. But, done poorly, link building can now actually hurt your rankings. In the past months and years, Google has released new updates to its algorithm that actually punish certain link building schemes. They view these schemes as methods by which people try to game the system. But despite these new updates, there are still many third-party SEO services that engage in these now outdated link building schemes. Some will guarantee you a certain amount of back links. Others will outright sell you back links or rent you back links. 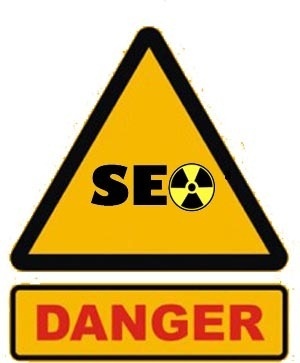 Because of this you need to be very careful about who you contract for SEO services. Make sure they are building links the right way, and not simply buying or renting links, or participating in some elaborate link sharing scheme. These practices can sometimes have positive results in the short term, but when Google catches on, it generally severely punishes websites engaging in this type of link building. As a general rule, you should NEVER buy or rent back links. A good indication that you’ve been penalized is an immediate and significant drop in your search engine rankings. But, when Google penalizes your site, they generally notify you through a program called Google Webmaster Tools. If you have Google Webmaster Tools set up, you’ll see a warning like the one below under “Search Traffic” (left-hand column) and then “Manual Actions” (collapsible menu item). If you’re a LiveRez partner and looking for someone who you can trust to run your SEO and SEM efforts the right way, check out our in-house SEO service. Our SEO team always has your long-term best interests in mind and will never cut corners in their SEO tactics. To learn more about our SEO program, call Juston Clarkston at (208) 639-6121 or email J.Clarkston@LiveRez.com.